If you're searching for a light, casual jacket what could be more perfect than a bomber jacket? An all-time favorite on Fashiola, women's bomber jackets will always be a great asset to your wardrobe. 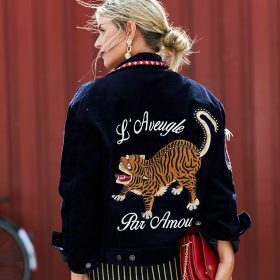 Although the trends influence the style of a bomber jacket as they move between a rugged look to smooth satin bomber jackets you can always be sure you'll look fashionable and stay warm. Our favorite way to wear a bomber jacket is over a relaxed addias sweater as the streetwear-trend has Fashiola's heart. However you choose to wear yours, make sure you find it amongst the many brands on Fashiola.